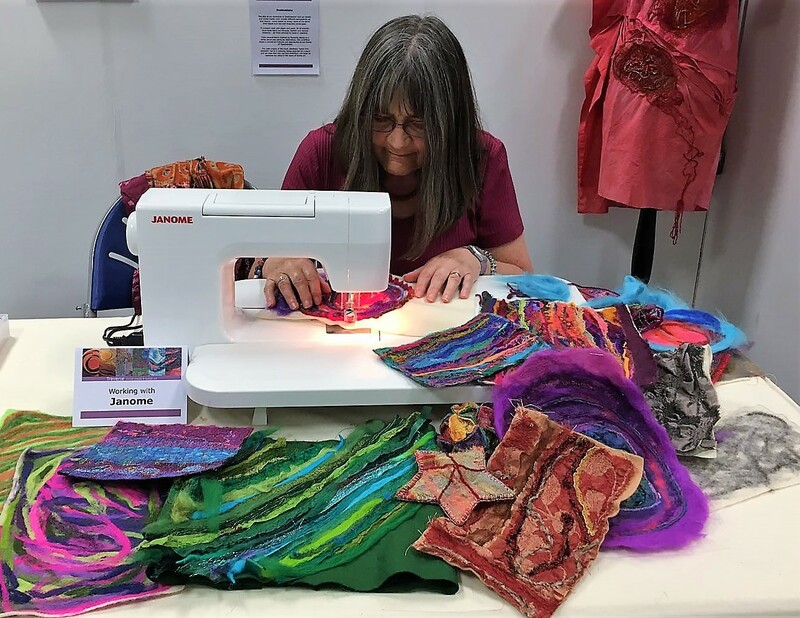 A couple of weeks ago, my local Embroiderers' Guild in West Bridgford was treated to a very entertaining and inspiring talk by Chris Gray and I admit to borrowing the title of this blog post from her. Her message was loud and clear and delivered with much humour - stop keeping all those precious pieces in drawers and boxes, only getting them out to stroke occasionally. Pull them out, cut them up and make something beautiful with them - make it small and get it done. This coincided quite conveniently with my wanting to respond to a question we'd had from someone at the West Country Quilt Show. She was looking at Dia's beautiful silk paper book cover and she asked if we ever made them to sell. 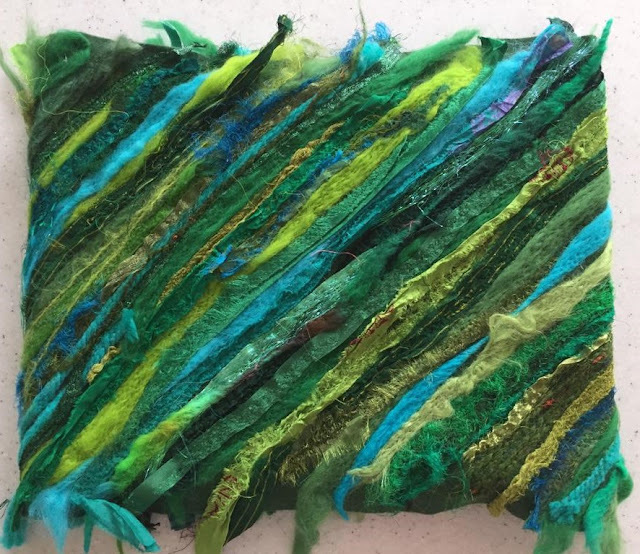 That planted a seed of an idea - a way to use some of the examples from our embellisher demonstrations, which were beginning to pile up. ... and also a beautiful larger album cover, shown here as work in progress - just waiting for stitch! Following Chris Gray's example, I pulled out a lot of embellisher examples of my own from years ago, when I first got my embellisher and was playing around with different materials - some of them had worked, others were not so successful. With Chris's voice ringing in my ears - 'Get the scissors!' - I chopped them up into strips and embellished them onto another piece of felt before going slightly bananas on the free-motion machine embroidery. One sketch book cover - job done! I used some of the left over embroidered fabric to decorate the covers of a few smaller sketchbooks, along with some of my other chopped up hidden treasures. ... and a small needle case. I've really enjoyed making these bookcovers - I have found it most satisfying to use up a little of my stash. One of the things I particularly like about using an embellisher machine is the way I can make new fabric from old and this 'going small' project has taken it one step further for me, using my old embellished fabric to make new. Thanks for the inspiration, Chris!